The website was registered in 2015 and has been online since then; the website has less than one thousand visits per month. The site is not a gambling site in any way and no purchase or fee is required for you to play, win, or increase your chances of winning games, neither does clicking on advertisements or participating in advertisers. The love Free lotto does not require any sign up or registration to play and to become part of the winning team. All that is needed is simply your email address and you stand a chance to win a whopping $ 250,000. 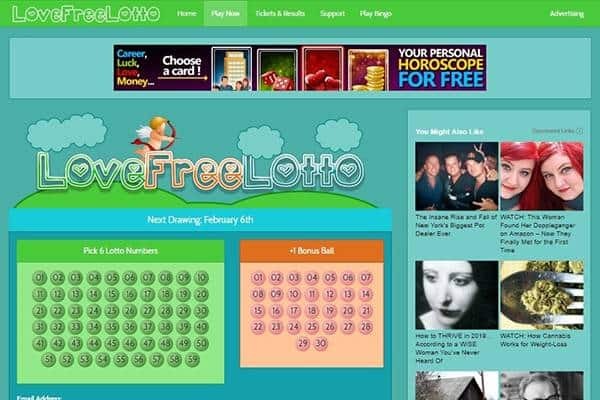 The website is available only in English and only US dollars are acceptable by the agent and lovefreelotto.com does not provide scanned copies of lottery tickets. 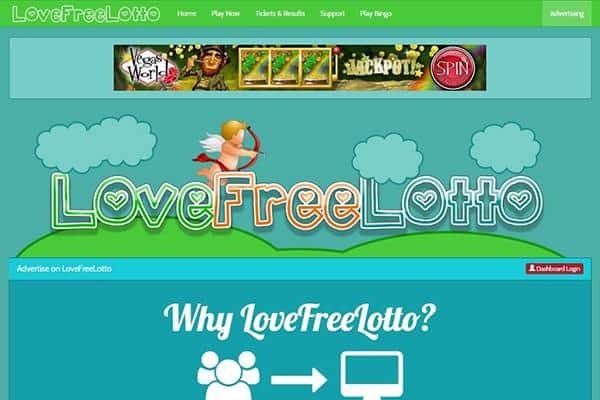 The services of Love Free Lotto agent are accessible in only a few selected countries namely : Australia, New Zealand, Canada, United States of America, Ireland, and the United Kingdom and its website is secured by Google Safebrowsing. Being online for approximately three years now, Love Free Lotto offers only one available gameplay, and that is the love free lotto itself. No additional options are offered just a standard game play, no syndicate game options are available either. 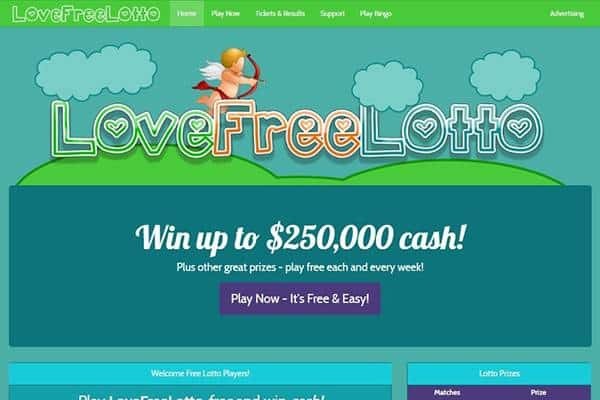 Love Free lotto does not provide any app for playing of lottery games, signups are done via email, and notifications are received also via email for impending winners and winning tickets must be claimed within four weeks of playing on the love free lotto site, lotto numbers are also drawn on their site. In as much as love free lotto does not have an app, its interface has been programmed to suit the need for mobile use, therefore games can be played and prizes can be claimed on their site using your mobile phone, iPad, or computer. Online games are totally free on lovefreelotto.com, hence the absence of any form of promotions whatsoever. No discounts, no bonuses, no special offers. All cash prizes are made only through PayPal, and all payments to winners are done at the beginning of every month prior to the month which they claimed their prizes. Love Free lotto does not require any information concerning your credit card or bank account. 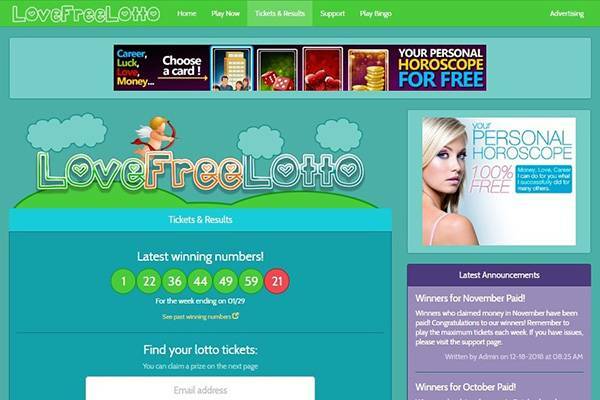 lovefreelotto.com has a FAQ page characterised by several questions such as : how does love free lotto work? Is it really free?, what countries / regions are allowed to play? , when / where / how are lotto numbers drawn?, how do I claim a price?, how do I get additional help or ask a question? Oddly, Love Free Lotto does not give any contact information – no contact form, email, phone, or chat option. Not a very promising trust signal. Is Love Free Lotto Lottery legit or fraud? The agent does not provide any information considering their legal name / base. No details concerning their license have been found neither has information concerning the details of Love Free Lotto’s registration. 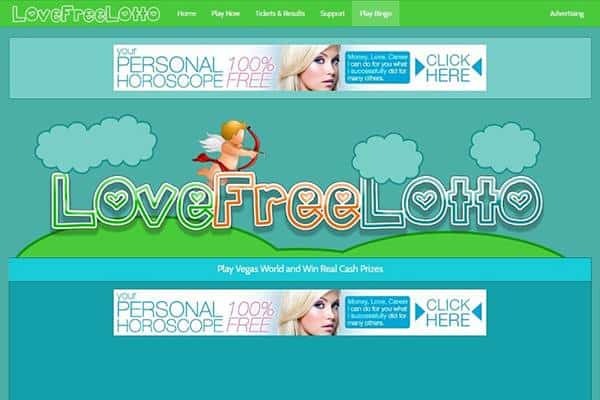 So one cannot say for sure if the site is legal, especially since there exists no way whatsoever on how to contact the agent, In fact Love Free Lotto site seems to be a dead end and one may be right about skepticism towards the site, it does seem like a scam. Since we are not certain about whether or not love free lotto is legal, one cannot feel safe playing lottery games on the site. It is a fact that several amounts of money stand to be won and it is free, that seems to be the only advantage of love free lotto. One cannot then rate such a site which does not disclose any viable information at high standards. Definitely a rating of 2/5 is not far-fetched.